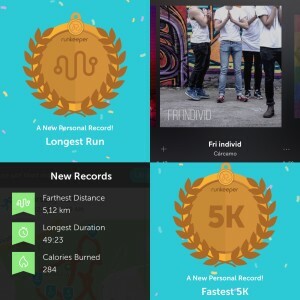 I chocked myself a few months ago, when I got a strong urge to go out running, and actually did. 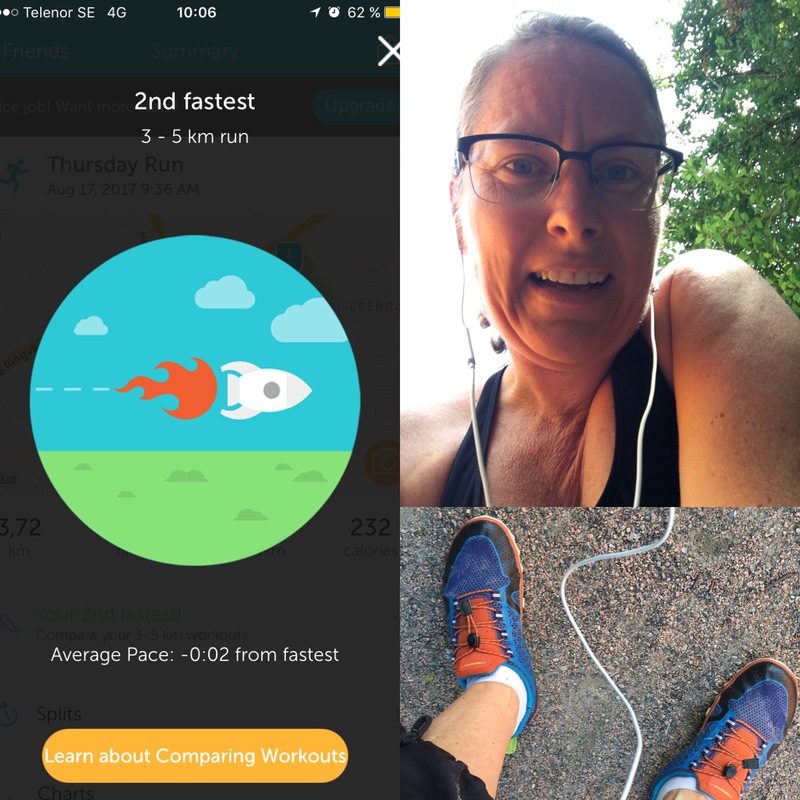 Felt very pleased with myself, but didn’t force anything. But a few weeks later, the urge hit me again, and then again and again. By now, I’ve been out eleven times, and I truly enjoy it. 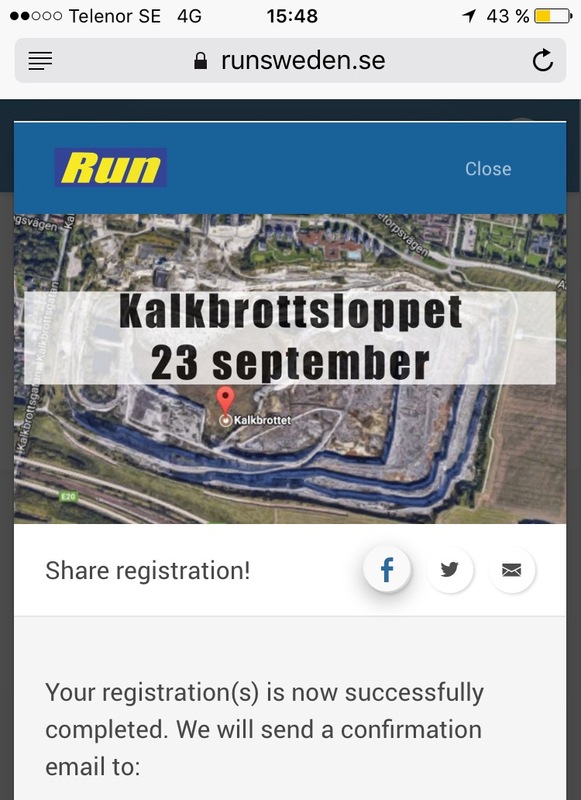 Then I chocked myself again, just the other day, when my cousin shared a post on a race in Kalkbrottet (an old and disused limestone quarry close to where I lived as a young child) and I signed up for a five kilometer run! 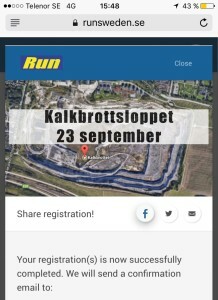 I’ve never run a race in my life, and I’ve never been down in Kalkbrottet, so I figured why not? As I listened to the On Being episode called Running as Spiritual Practice I found myself recognizing a lot of the sentiments shared by those sharing their stories on the show. It’s a diverse collection of people – a motley crew – which reminds me, yet again, that there is always so much more that joins us together, than sets us apart from one another. I feel kinship with… well, with them all, really. As I look at the profiles of the people features on the show, I realize that there’s not a single one of these lives, that did not in some way touch me, as I listened to them sharing why they run, how they run, what they have gained from it, how running made many of them view themselves from a different perspective. Beautiful, that’s what it is, receiving this gift os people sharing a piece of themselves. With me. And you, if you choose to. It’s an episode well worth a listen to!